I am an advocate of finding the exercise that works for you, it may be running, lifting, swimming, cycling, circuits, chair based. Whatever gets you moving is what works. If possible throw in some mobility and stretching but if you are moving it’s all good. However sometimes I think it’s beneficial to bust out of your comfort zone, to try new things just once. This morning I am going to the following class. 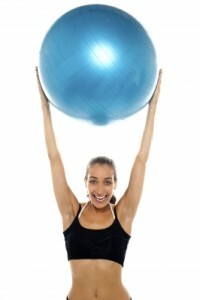 No idea if this is what happens in Fitness Pilates but she looks so darn happy I hope so. I am trying to take the attitude that having one out of the four is a start. I anticipate having to laugh at myself a lot during this class. So here’s my ask of you. Try a new way of moving this weekend. If you usually walk solo ring up a friend and ask them to walk with you. If you usually go for a swim then go for a walk or a run. If you usually run then try doing a yoga class. Part of healthy ageing is trying new things, challenging our bodies in new ways, finding new ways to enjoy life. You don’t have to ever do it again but just try it. Let me know how you get on. The post Out of my comfort zone: Fitness pilates appeared first on Whole Life Fitness.